Use our Mission Tracker Poster to make a great visual record of what your group has been doing. Print out the Mission Tracker Poster as large as you can and hang it on your classroom wall. 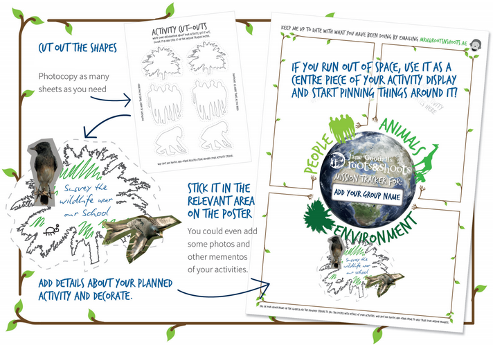 Now download some of cut-outs, print them out, add details of your activity and stick it on to the poster!